What is the story behind the store? The store evolved from Grace and Tim Lefever’s desire to raise their children with the best possible nutrition they could. Grace received a grain mill very early in their marriage to grind their own grains for bread. Word got out and neighbors began to visit with their own wheat for Grace to grind for them. Before they knew it, they were selling from their own organic bulk purchases, chemical free produce from the farm and foods “put up” by Grace and her children. The “store” got too large for the laundry room and expanded to a corner of Tim’s plumbing shop. When Tim passed and Willa came home, the store took over the shop. 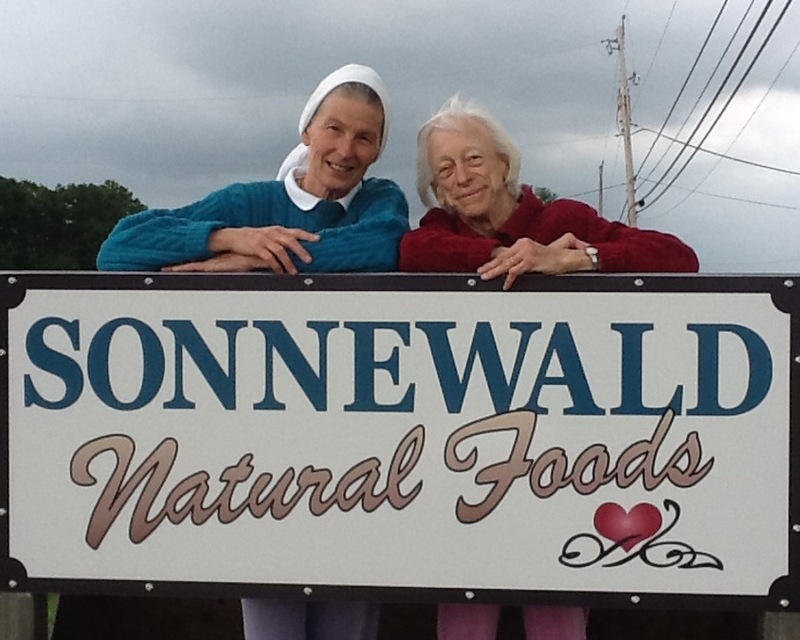 About 16 years ago, Willa and her husband Bill built a beautiful new 8,000 square foot building on the farm which is the present home of Sonnewald Natural Foods. The growth can be attributed to the time and efforts the family spends on learning the value of real foods and sharing their knowledge, working with local farms, and providing the best quality foods possible. 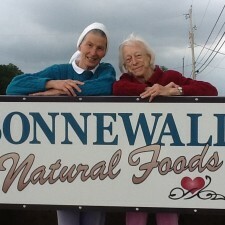 What makes Sonnewald Natural Foods unique? We still grind whole grains. You won’t see whole wheat flour on the shelves – it is stone ground fresh while our customers shop. In the center of the building is a temperature controlled bulk foods room with over 350 different bins to choose from. So many of our new shoppers are thrilled to learn of all the gluten free grains available. Education is still a priority with an entire corner devoted to books. In the center of the books is a “library” table covered with reference books so that our shoppers can take a few moments to do their own research. Our customer service staff is always busy answering questions, sharing what works for them, and making copies from those reference books for shoppers to take home. The book area is also home to a rack of over 30 documents on health and food gleaned over the years for anyone to take free of charge. Of course “The Benefits of Coconut Oil” is a staple on that rack. What do you recommend coconut oil for? Everything! From head to toe on the inside and outside of the body to lubricating your food processors, and don’t forget your pets. It is suggested for use as a carrier oil, any application as a substitute for butter or vegetable oil in food preparation, skin cream, candida, athletes foot, and is dynamite in and on corn bread. Many times I’ve heard Willa suggest to a customer “Only put on your skin products you would also put in your mouth”. Are there any great sales days or events coming up? No huge sales, our everyday price is a bargain. We offer web coupons, monthly specials, seasonal treats, and the back page of “Taste for Life” magazine highlights coupons. On Saturday, August 18th Sonnewald is hosting a Farm and Store Reunion for all who have worked on the farm or in the store for the past 57 years in honor of Grace’s 90th birthday this coming December. For over 30 years, Grace has lead “Weed Walks” in the spring. She shares her knowledge of the wonderful, free foods God has provided for us right in our back (or front) yards. On the walk around the farm the students learn how to recognize edible weeds, the tremendous nutritional value, and how they can be incorporated into everyday meals. She ends the session with her special “Green Drink” which is made from putting everything gathered into a blender with some lemon, pineapple juice, and an assortment of seeds for everyone to taste. This past spring several of the “Weed Walks” were filmed and we are in the process of compiling a guide book to accompany the DVD. We also have a weekly radio show “Sundays with Sonnewald” hosted by Willa devoted to helping others take control of their own health. Our website www.sonnewald.org has all our past shows archived for anyone to hear at their convenience. The website also has most of the documents we offer for free in pdf format for downloading. Thanks to Grace, Willa, Diana, and everyone at Sonnewald Natural Foods! Make sure to stop in and pick up a jar of Kelapo!